San is drawing ever closer as our expedition is drawing to an end soon. While refueling navigation identified something of interest. 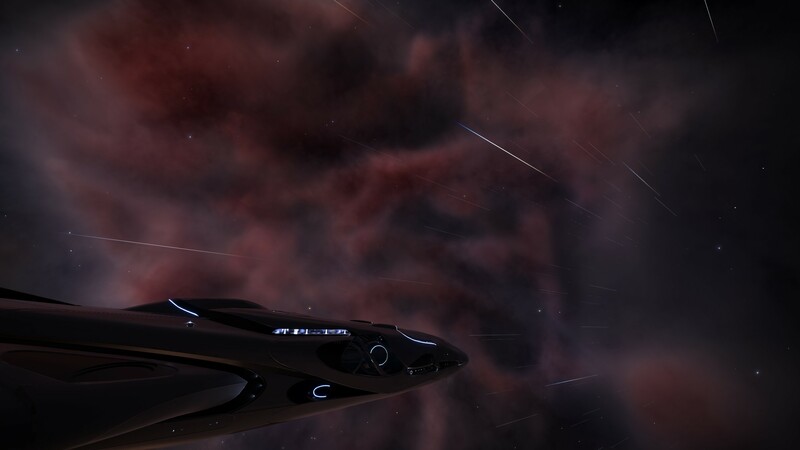 A world almost 2ls away from it's star. Upon inspection we determined it was a hellish hot place to be. 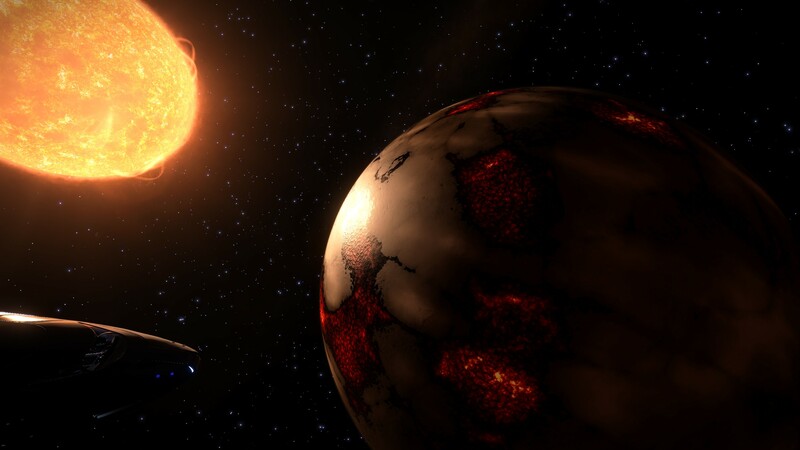 The star's thermal radiation is beating down hard enough on the crust of the planet that it begins to liquify. 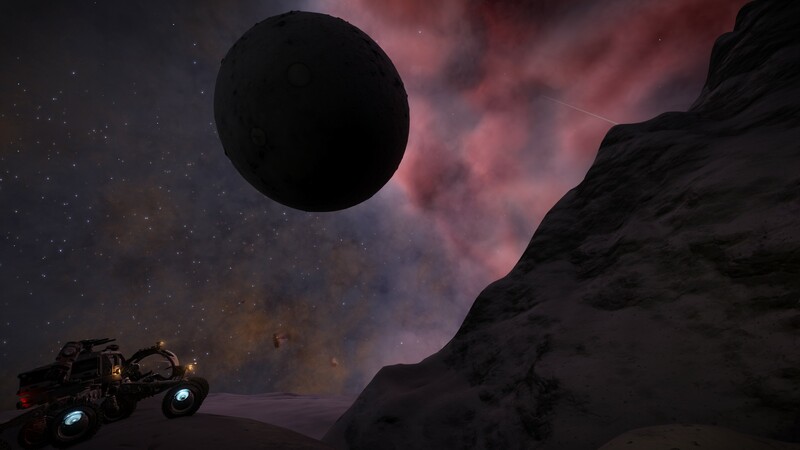 The HSV Honor was brought around the darkside of the planet to see if there were any lava pools on the opposite surface, but it appears the planet is tidally locked. 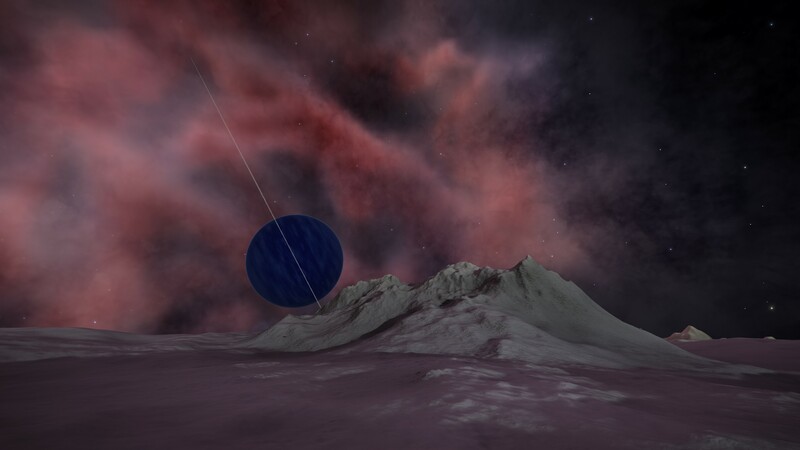 Coming up on one of the last few waypoints the HSV Honor was greeted by the pink hues of The Flyiedgai Nebula. Preparing to land at Basecamp Mors Pit the crew decided to change plans and scout the nearby mountain for rare materials. A minor mountain climbing expedition was mounted! Approaching the summit the sister moon of Mors was seen supervising our climb. Unfortunately for us we did not find any Jumpolium on or around the mountain. Our saving grace was the Sovereign, who after a month of no response sent an override code from Selous Horizons. The emergency hibernation was resolved and the crew is in the process of cleaning out the bridge. To say it's fitly beyond human comprehension is an accurate assessment. I took the opportunity to explore the wayside, and climbed a summit. 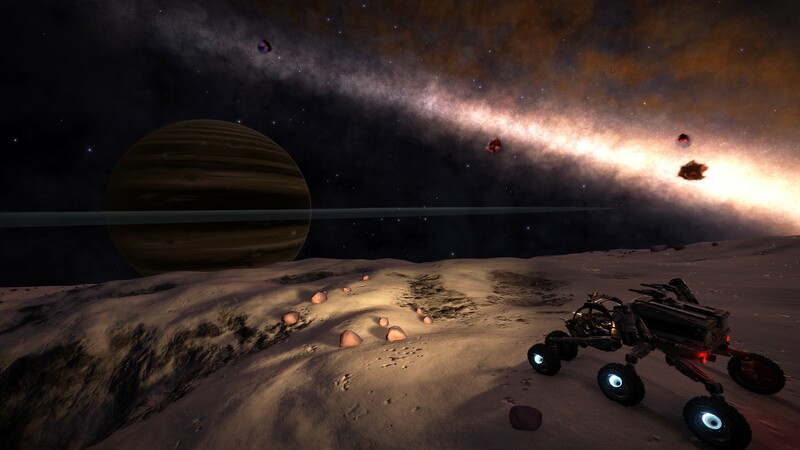 The journey has become a burden, but it's views like this that make it worth it. EDIT: Whoops i quoted wrong. Haven't used this site in awhile. 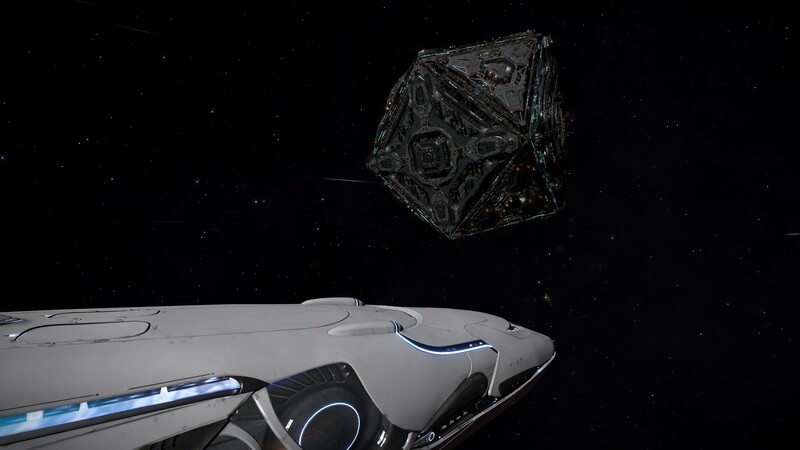 The HSV Honor has arrived at it's final waypoint before entering the bubble. It's been a long journey to get this far, and the anticipation of arriving home is surmountable. The expedition will be completed when upon arrival in the He Xians system... Archon Delaine territory. A nest of scum and villainy. Navigation has begun to pick up degraded emissions. A grim welcome back to habituated space. We investigated a few, no survivors were recovered. The wrecks were picked clean. With a cargo hold full of Jacques finest we feel more and more like a pinata as we move closer to He Xians. 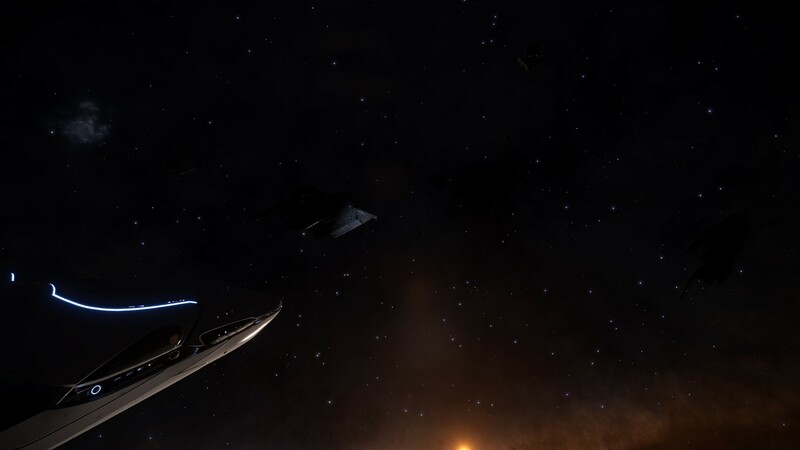 When the HSV Honor entered the He Xians system the crew and I were welcomed by three imperial eagles. They were interested in procuring all of our Jacques liquor with aggressive negotiations. 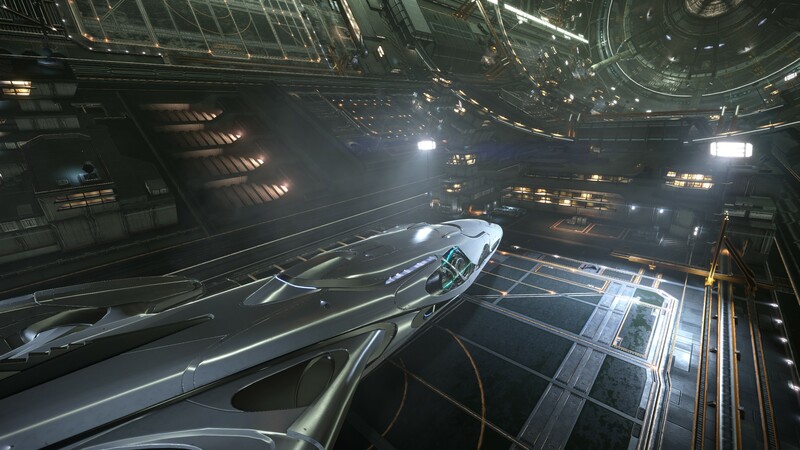 Engineering infused our FSD with some of the materials we collected over the expedition, we managed to jump to a safe 40ly away. We ran into no further issues and arrived at San. 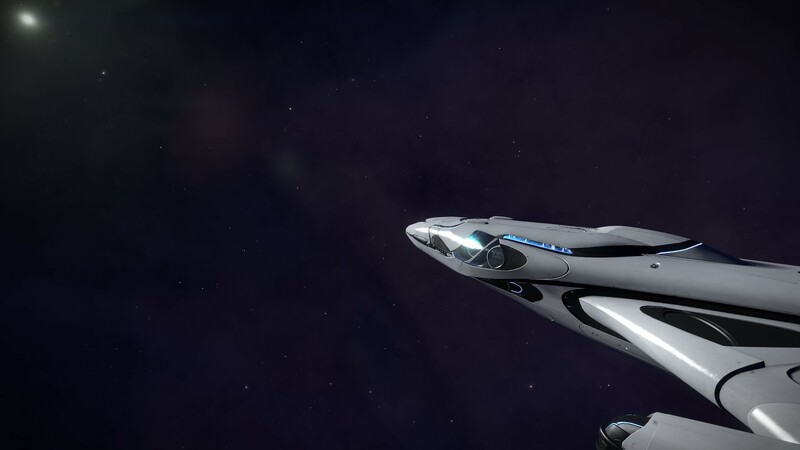 Entering Sirius Inc controlled space and seeing Selous Horizons was a welcome sight for the crew and I, however I forbid what was going to happen next... The debriefing meeting with the sovereign. Over the course of the journey the HSV Honor incurred damages; the paint was scratched and a certain smell hangs in the air. The possibility of losing my Command or being demoted to courier duty hangs in my mind as the HSV Honor sets down on the landing pad. The debriefing meeting was tense as the Sovereign read over the list of damages and expenses that were incurred during the expedition. The Sovereign held a whiskey glass of Jaques Quientian Still in one hand and the expense report in the other. Flipping through the pages and sipping the Still the sovereign would sigh and shake his head. He must have read about when the HSV Honor flew too close to that star, or how we almost flew into that black hole, or that business with the Xihe Companions; It seems the Sovereign thought they were companions of a different flavor. Finishing the report and the whiskey I was certain I was going to be demoted as a cold gaze was fixed on me. That was until Universal Cartography interrupted the meeting: "Congratulations Mattastan United, you are now ranked Ranger with the pilots federation! You were first to discover over 100 new stellar bodies, and have been compensated 50 million credits." The Sovereign's attitude changed, and poured Jaques still into two glasses. "Cheers Commander, We have another mission for you."